Your reception is one of the biggest (if not the biggest) parties you'll ever throw. And everyone knows that the best parties have a perfect mixture of food, drinks, and fantastic music. We reached out to the people who know wedding music the best--South Carolina's best DJs--and asked them for the must-play wedding reception songs. 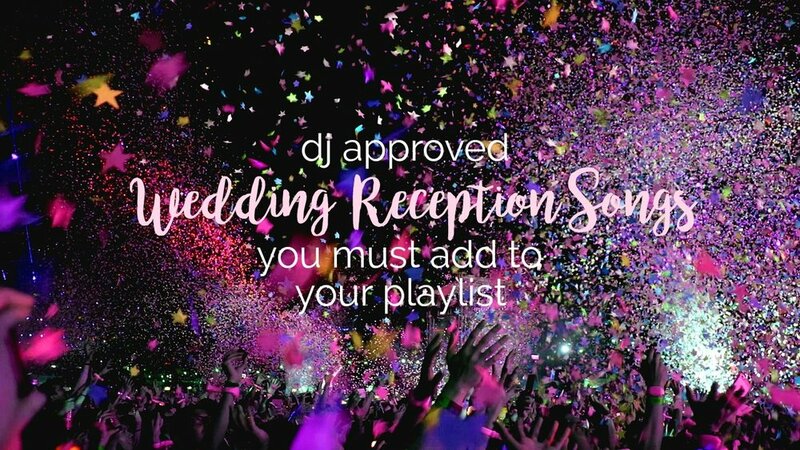 We also got a few suggestions from our readers to create a playlist that will have everyone from the flower girls to your great-uncle Wallace up and busting a move on the dance floor! ]This] is a must play at any wedding at some point in the evening. It's my pick because it is an extremely memorable song for all ages. The song structure is perfect for a feel good moment. It starts with an incredibly familiar bass line (where people turn their heads toward the band) and catchy lyrics and chorus. Everyone from the flower girl and children to grandma and great uncles will sing the chorus with a big ol' smile on their face....and they ALL dance to it. The timing of when the song is performed by the band depends on the right mood of the audience. It never gets old! Our most requested song would be a tie between Bruno Mars' "24K Magic" and "Despacito" by Luis Fonzi and Daddy Yankee.. 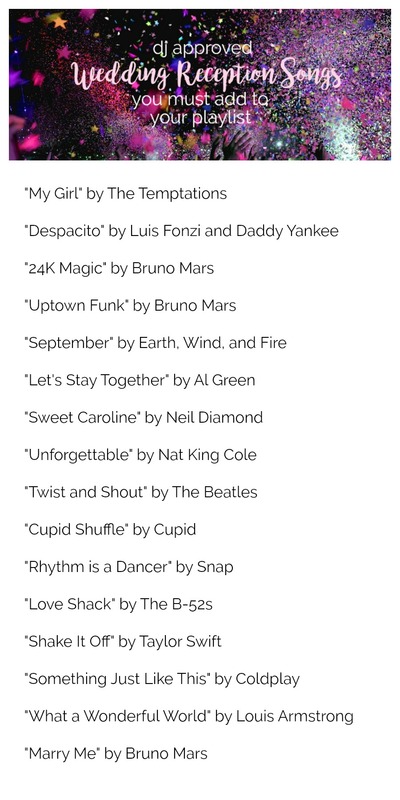 The recurring favorite over the last 12 month is a tie between "Despacito" and "Uptown Funk" by Bruno Mars. I always enjoy performing "September" by Earth, Wind & Fire at some point during a wedding. It is such an upbeat, fun and recognizable song that crosses generations. If I had to pick one song that is perfect for every wedding it would be "Let's Stay Together" by Al Green. There hasn't been a wedding where I haven't played this song. I have 2 remixes, one for slow dancing and one for the "peak" hour of the night. What wedding reception songs would you add to the list? Let us know in the comments!